Technology continues to play a huge role in consumers’ choices. Companies that have learned to embrace it — and master it — will be the winners for 2019. In recent years, big-name retailers that have filed for bankruptcy, closed stores or shuttered their doors (think Sears, Toys R Us, and Aeropostale) cite various reasons for their downturn, but one cause continually mentioned is the decline in mall foot traffic and traditional retailers’ inability to compete successfully in e-commerce space. 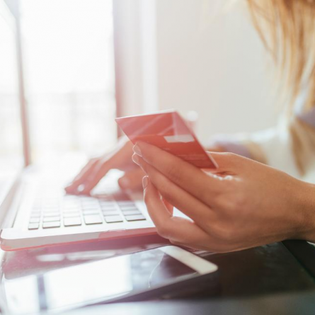 The draw of technology for consumers is twofold: the capability to personalize the shopping experience and the convenience of being able to learn more during a new product launch and purchase products from anywhere at any time. Amazon’s acquisition of Whole Foods is among the biggest retail stories in recent memory. At the time, Whole Foods was lagging behind competitors in terms of technology. One driver of the acquisition is the growth of online grocery ordering and delivery. Nielsen U.S.A. projects online grocery shopping to grow to a $100 billion business by 2022. A staid industry that was slow to innovate, traditional grocers and their stakeholders will be forced to recognize the need for investments in technology if they expect to remain competitive in 2019 and beyond. Top beauty chain Sephora is embracing technology and even staying ahead of the curve by integrating technology into customers’ shopping experiences. Consequently, the company was named one of the World’s Most Innovative Companies 2018 by Fast Company. Sephora recognized early on that digital was becoming a way of life for shoppers. In 2015, Sephora formed its Innovation Lab and invested heavily in its website, social media and advanced technologies such as augmented reality (AR), artificial intelligence (AI) and radio-frequency identification (RFID) technology. Sephora Virtual Artist is the company’s AR “3D live experience” that allows shoppers to upload a photo and virtually try on lipstick, blush, eye shadow and other cosmetic products — essentially, a valuable try-before-you-buy tool that saves time and money. Sephora’s Color iQ, in partnership with Pantone, uses AI technology to scan faces, identify the Color iQ number and recommend “scientifically precise” foundation, concealer and lip shades. The company’s partnership with Google Home Hub promotes the brand’s beauty tutorials and videos, allows consumers to ask questions and receive beauty tips and provides directions to the nearest stores. Forward-thinking prepared foods and restaurants are also incorporating technology in an effort to retain and grow their customer base. 2019 trends include home delivery of prepared meals or meal kits, online ordering via the website and the capability to text orders to restaurants. McDonald’s has partnered with Uber Eats, an offshoot of rideshare company Uber, which allows users to order and have delivered food from select restaurants via their website or a smartphone or tablet. The restaurant has also installed self-service ordering kiosks in its restaurants as a way to cut costs and curb wait times. Other examples include automation of the food-preparation process, such as “Flippy,” the world’s first autonomous robotic kitchen assistant, a partnership between Miso Robotics and fast food restaurant chain CaliBurger. The advent of these new technologies presents opportunities for enterprising entrepreneurs to capitalize on new trends. For example, shopping online and having purchases delivered directly to consumers’ homes has made holiday shopping more convenient. Consequently, however, incidents of porch piracy have risen, affecting 25 million people whose packages are stolen. While online grocery shopping and ordering has spared consumers from traipsing up and down the aisles, a trip to the grocery store is still required for some purchases. Most online grocers require consumers to pick up their groceries at their stores. Those that offer home delivery struggle with keeping foods fresh and frozen in the event the homeowner isn’t home to accept delivery. And for those who work during the day, parking in a private garage or driving around during the workday, home delivery is not a viable option. As the owner of a product marketing agency, I am always thinking about new technologies and am on the lookout for new products that solve common consumer problems. We’ve recently invested in a new product that protects packages and deliveries using a decorative lockbox and scan-based technology at the front door, thus eliminating the need for delivery drivers to enter the home. Who can begin to guess what the next big retail technology will be? One thing is for sure: It’s coming. Whether you are a retailer trying to remain competitive for 2019 or an entrepreneur launching a new product, be ready!